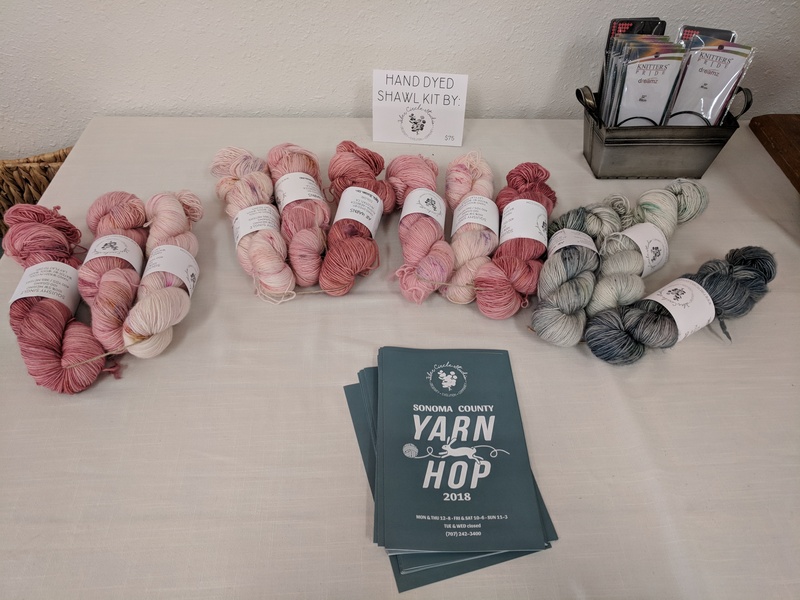 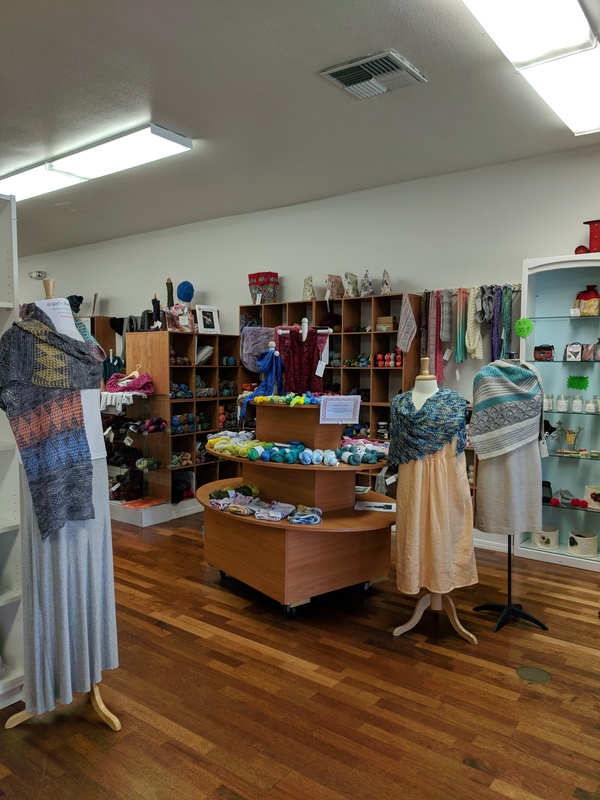 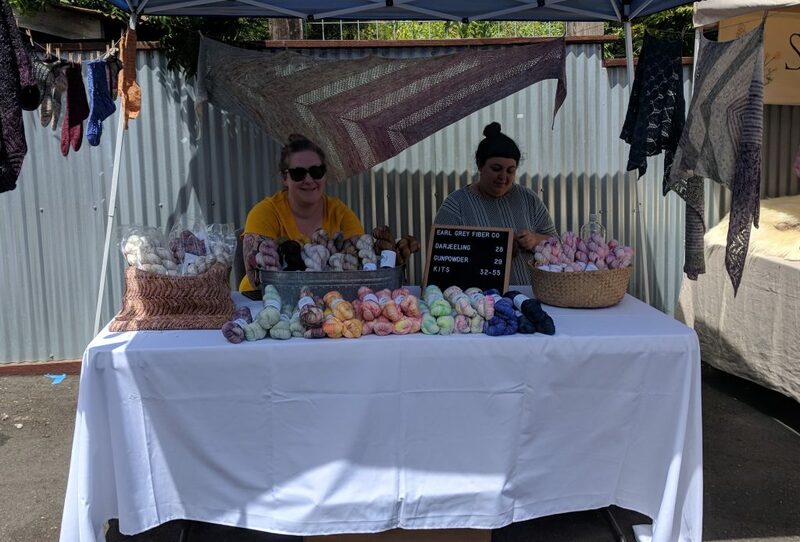 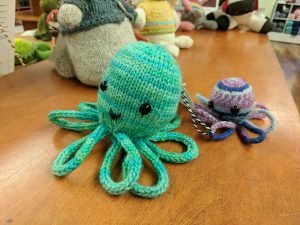 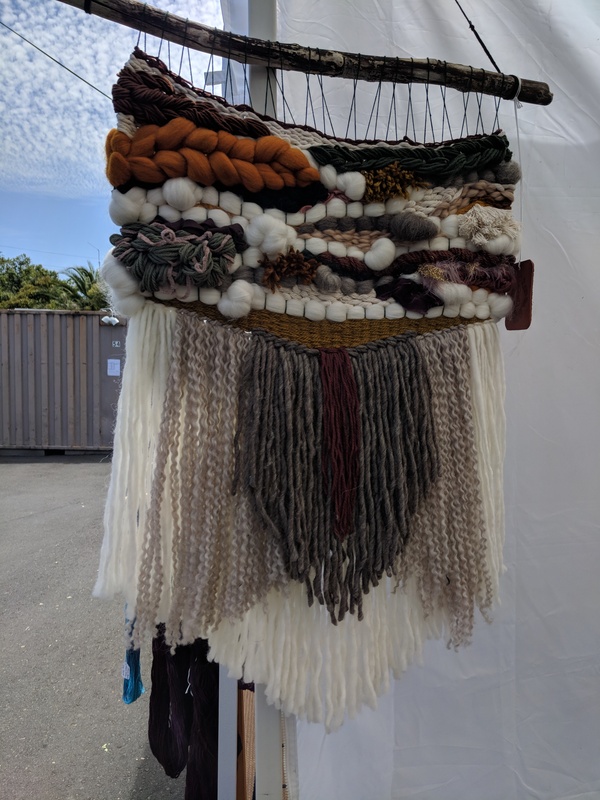 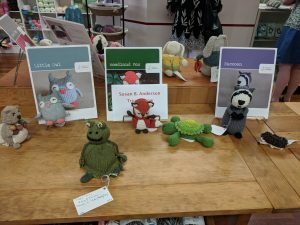 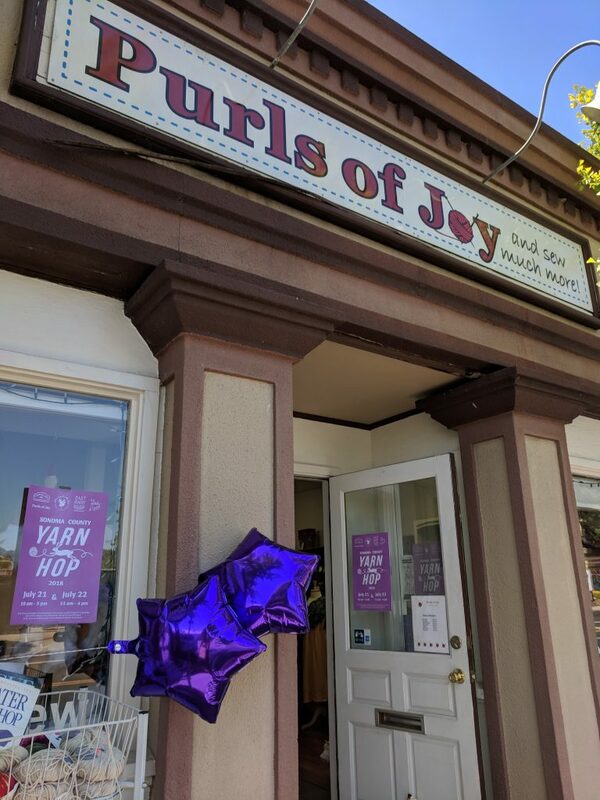 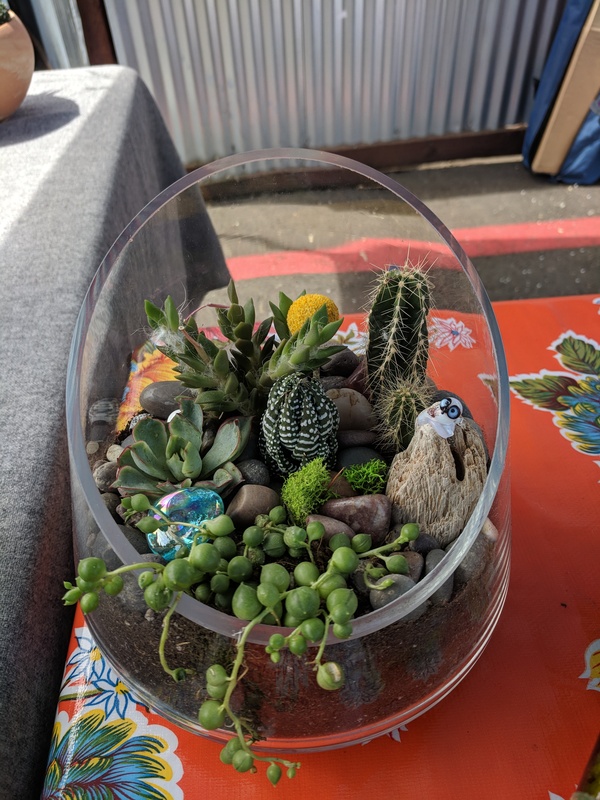 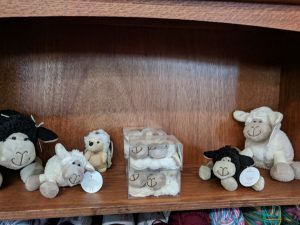 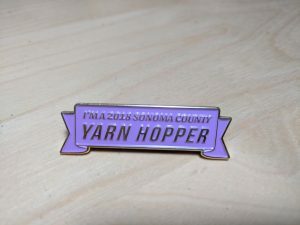 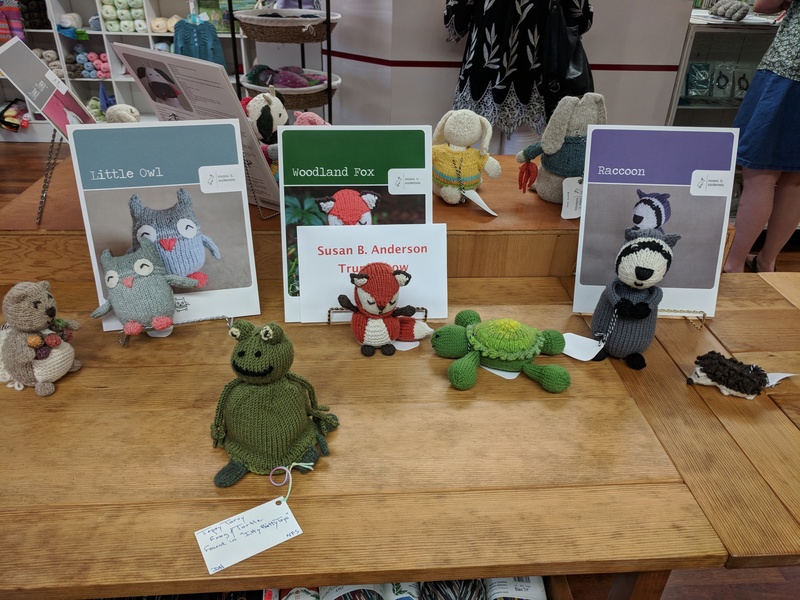 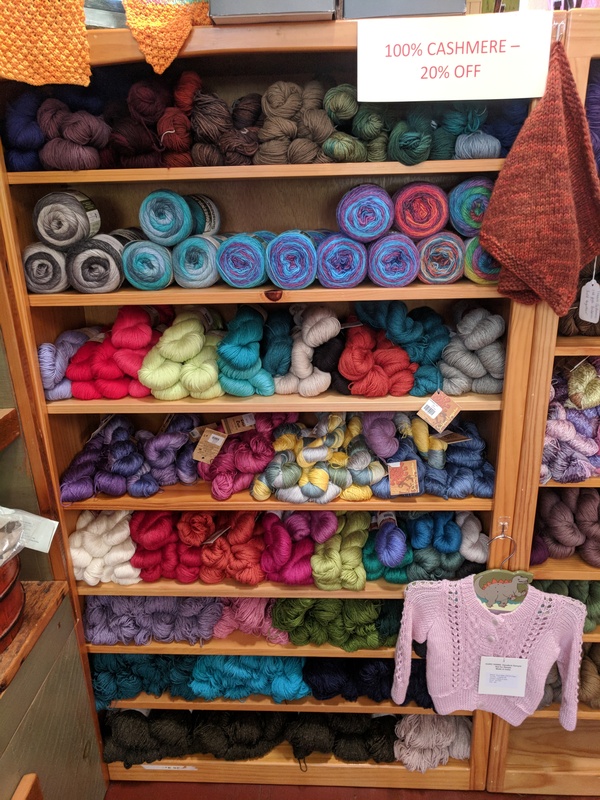 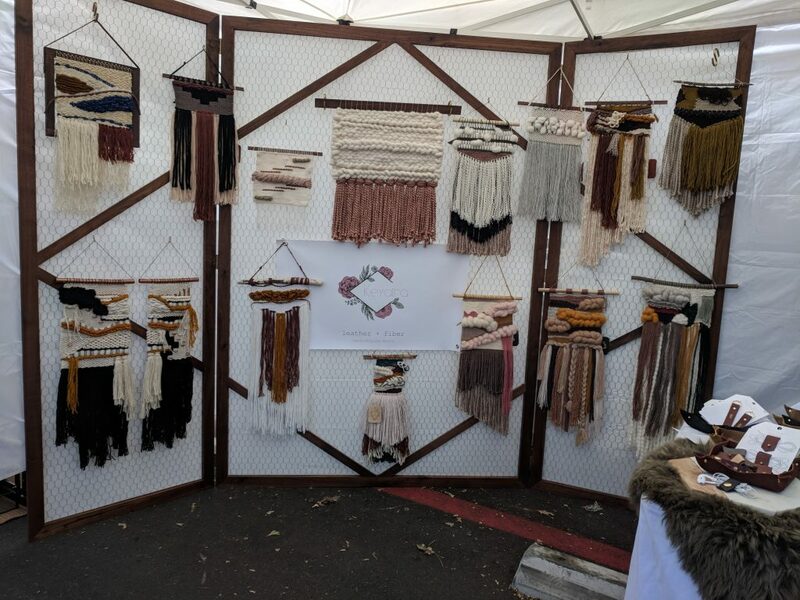 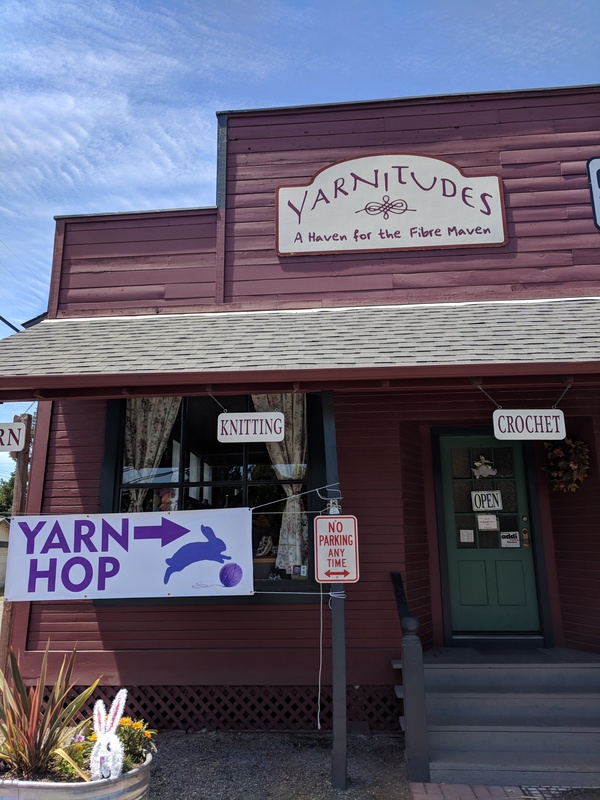 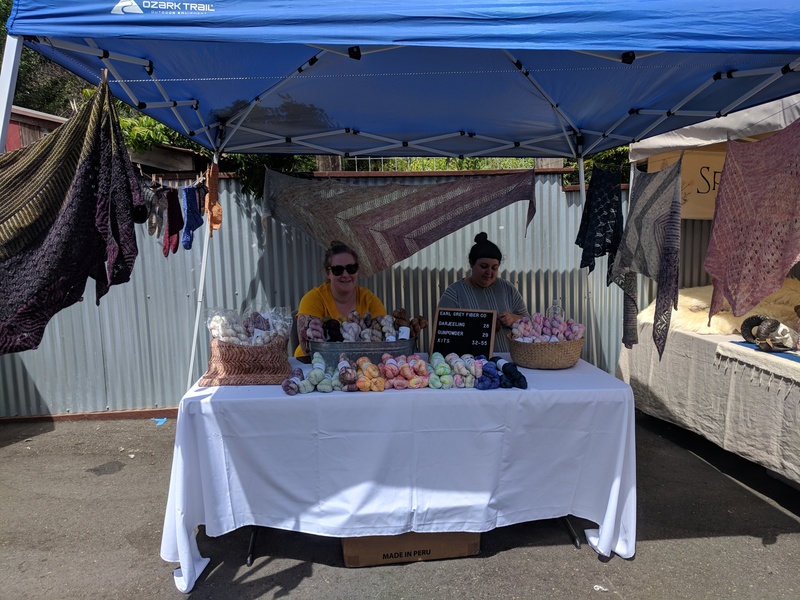 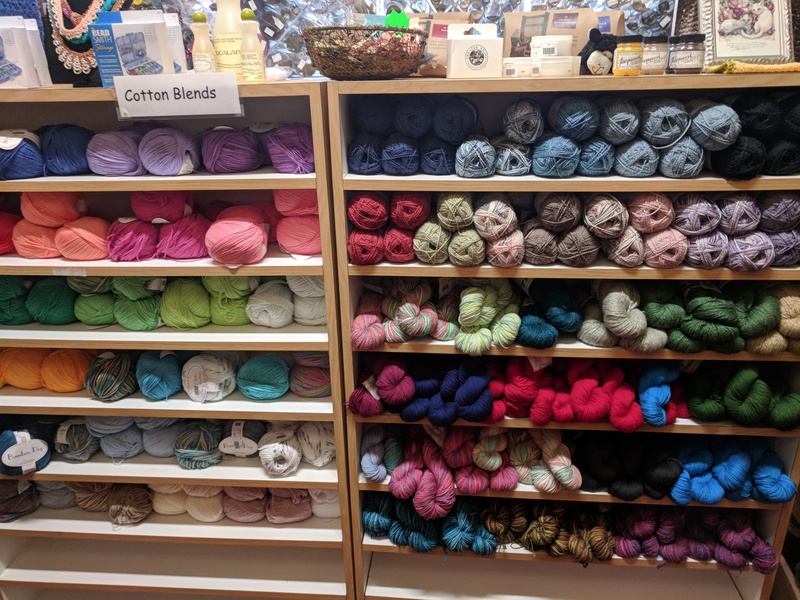 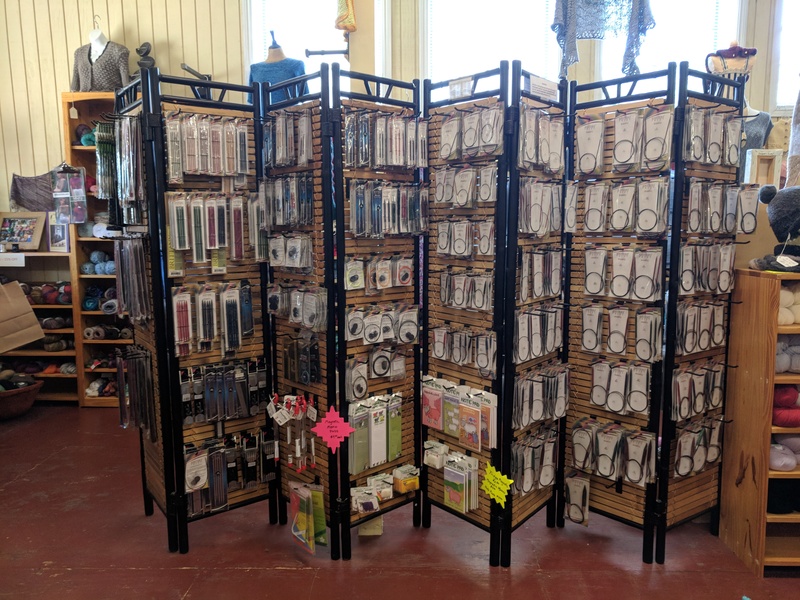 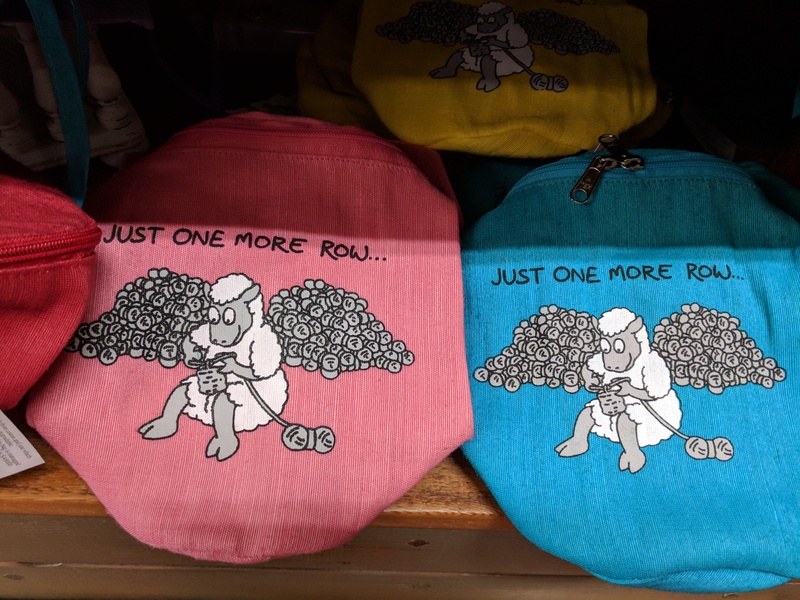 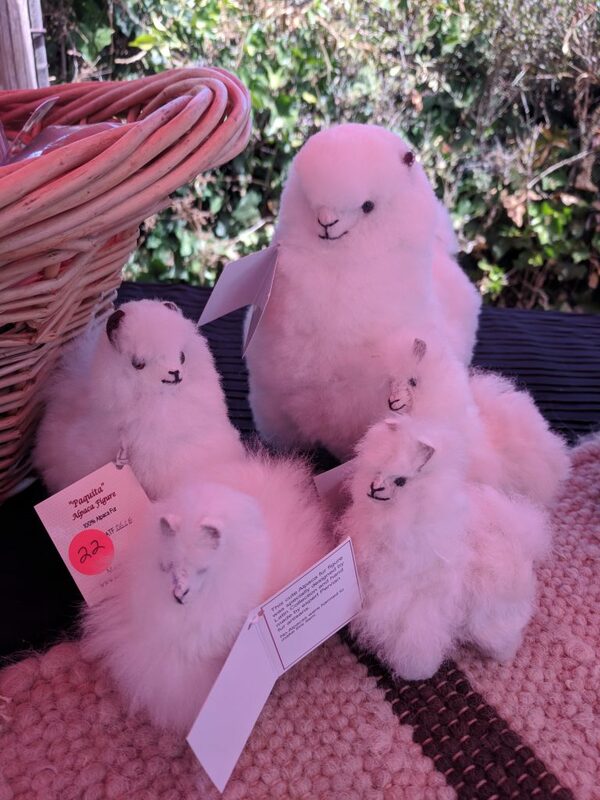 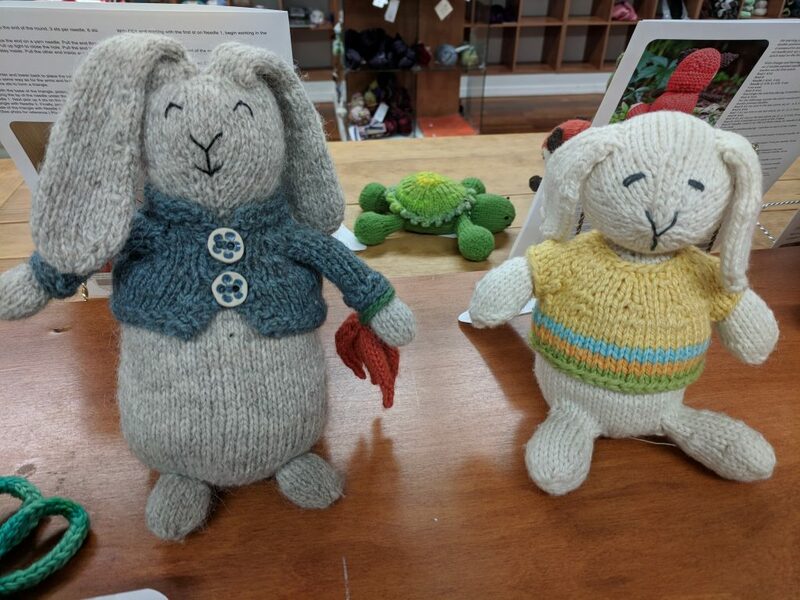 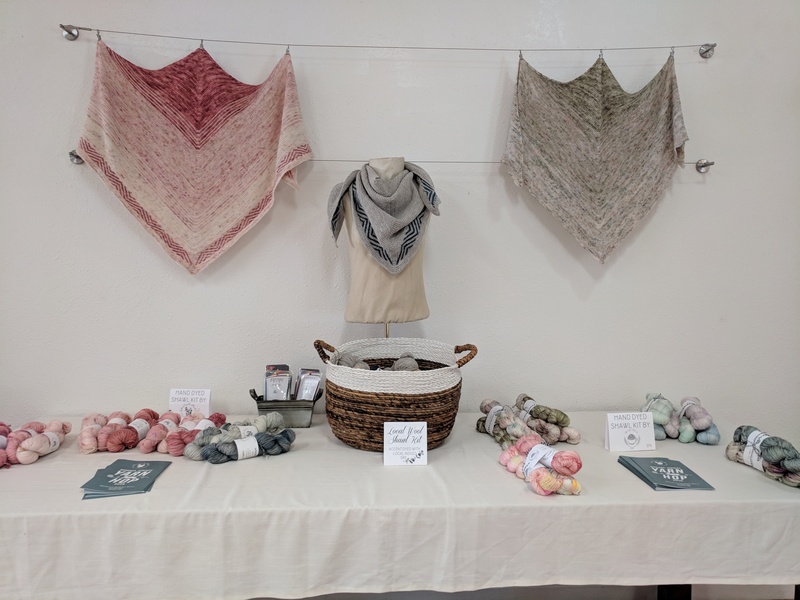 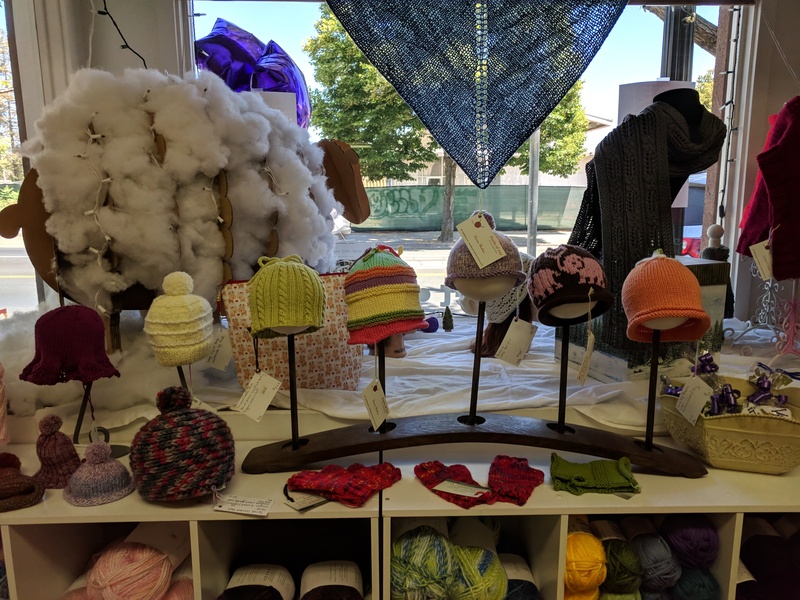 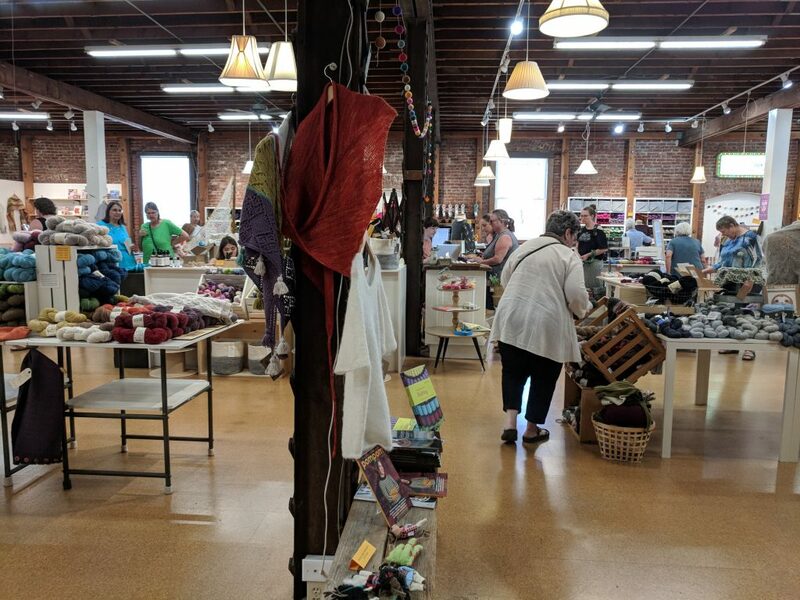 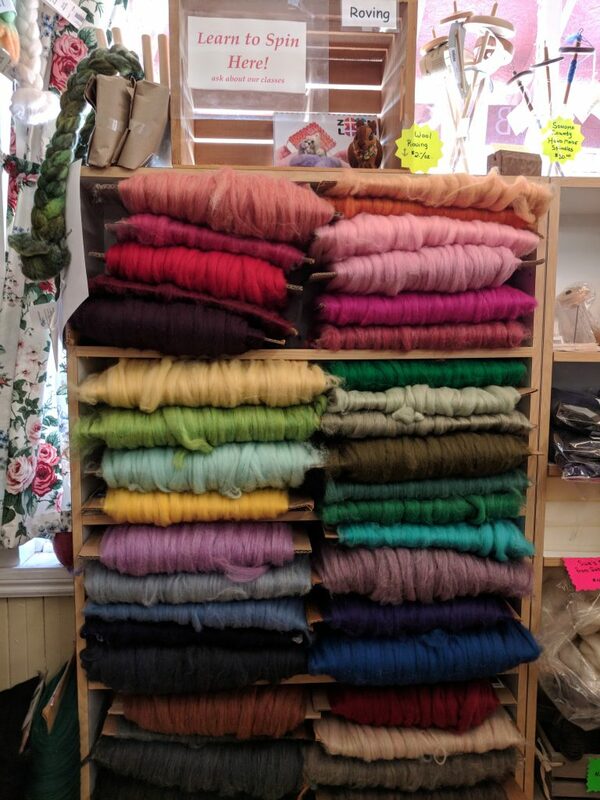 Here are some highlights from the Sonoma County Yarn Hop 2018. 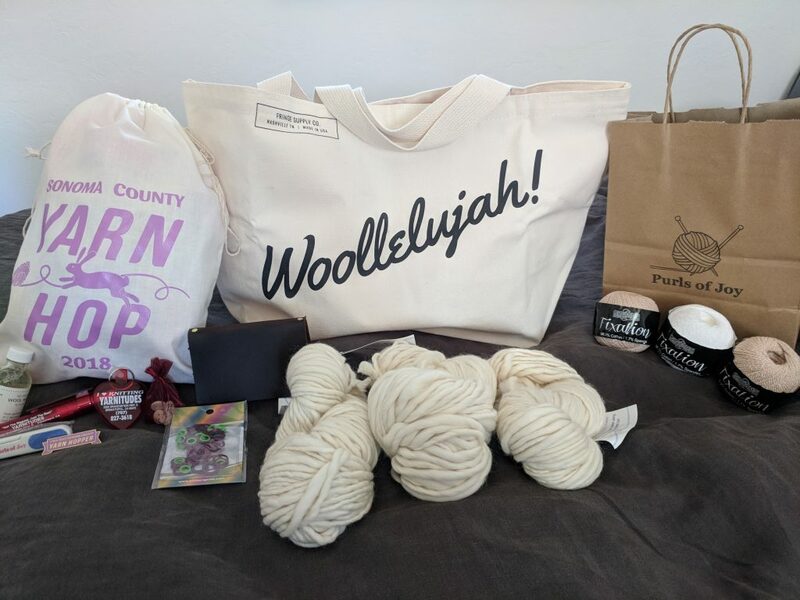 First things first: my haul! 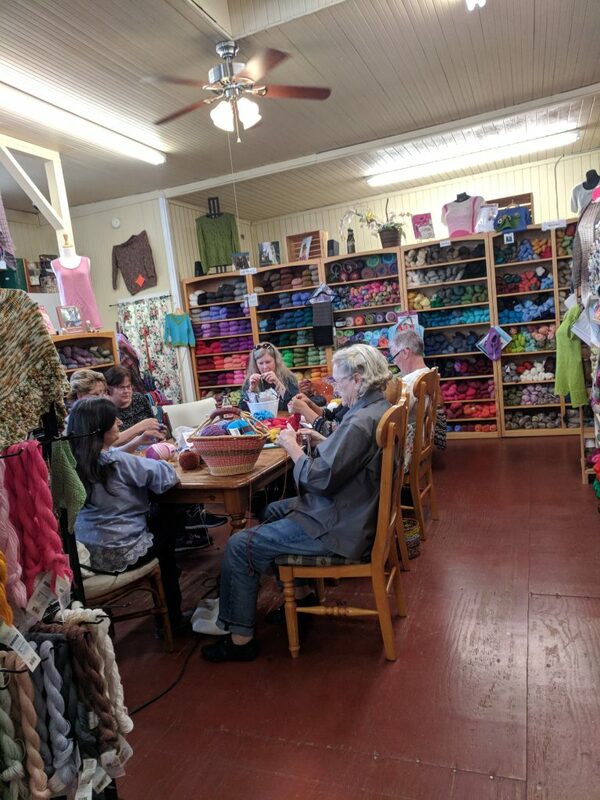 My first stop was Fiber Circle Studio in Cotati, CA. 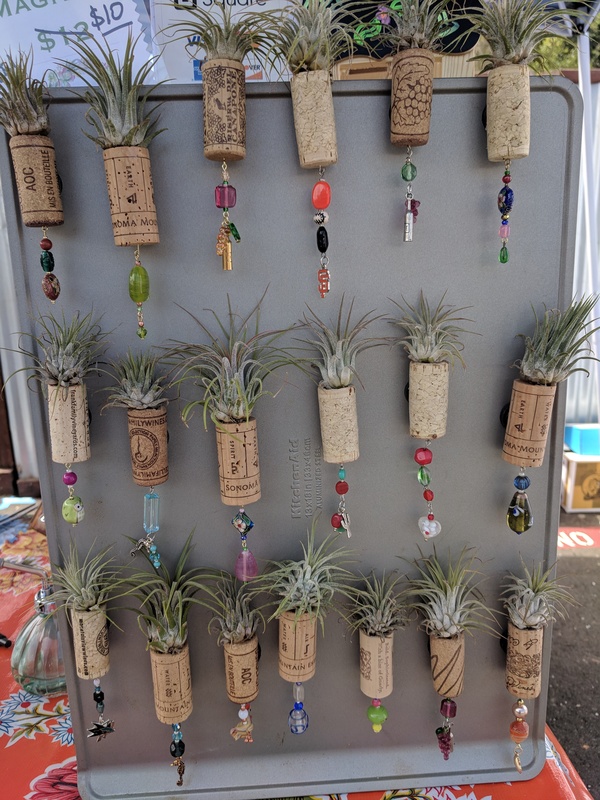 They were having a huge expo-style event in the parking lot! 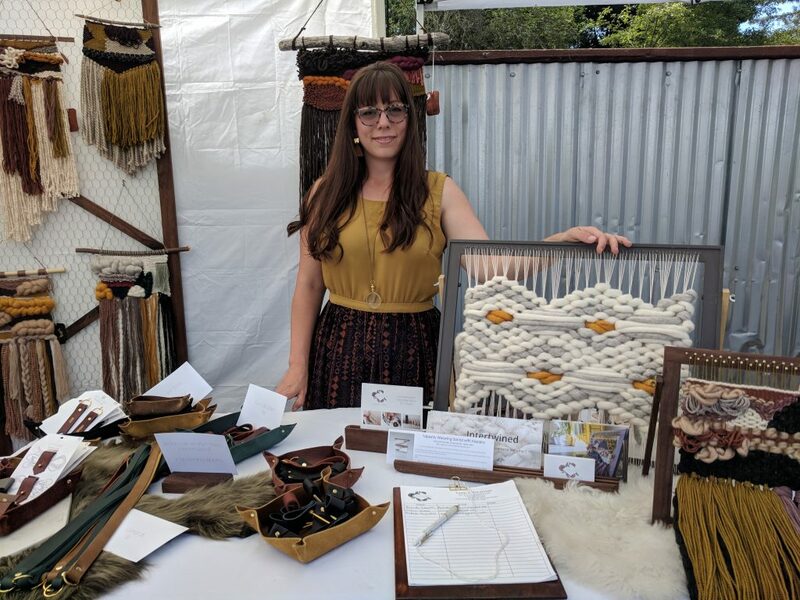 The lovely ladies of Earl Grey Fiber Co.
Keyaiira shared her art and leather goods with me. 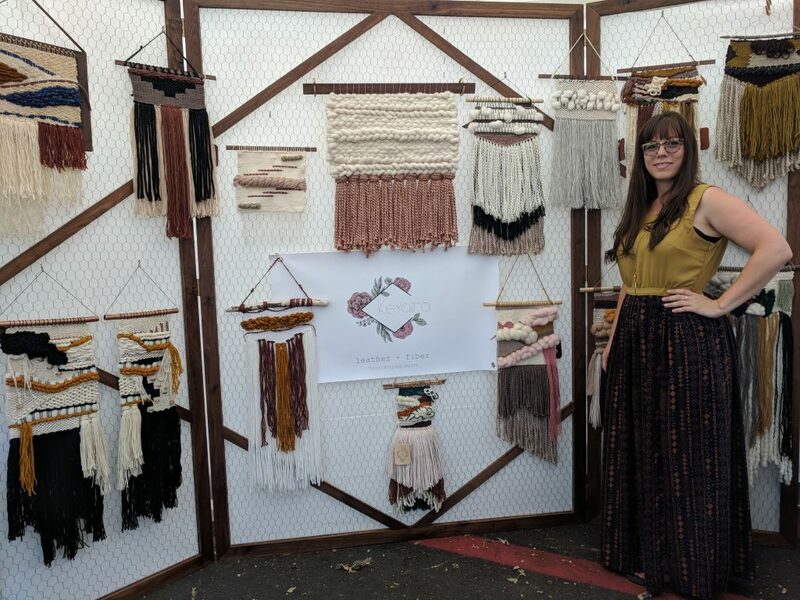 What a multi-talented crafter! 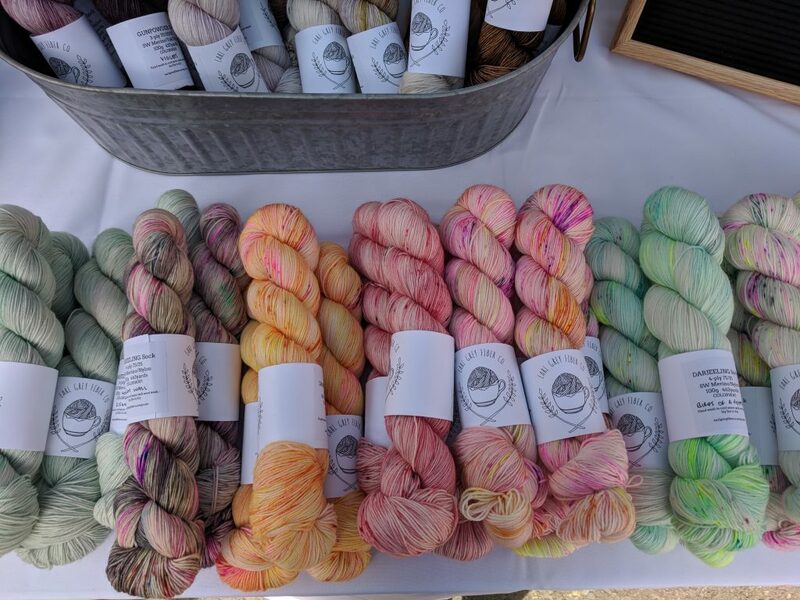 Click here to visit Keyaiira’s Etsy shop. 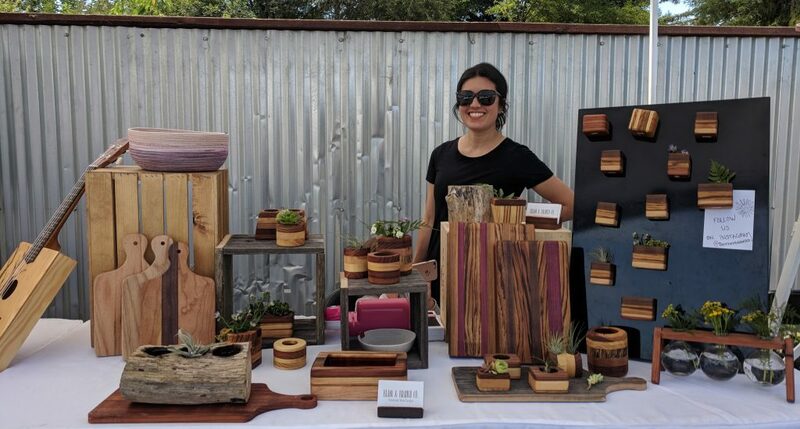 Rebecca of Beam and Branch Co. was so friendly! 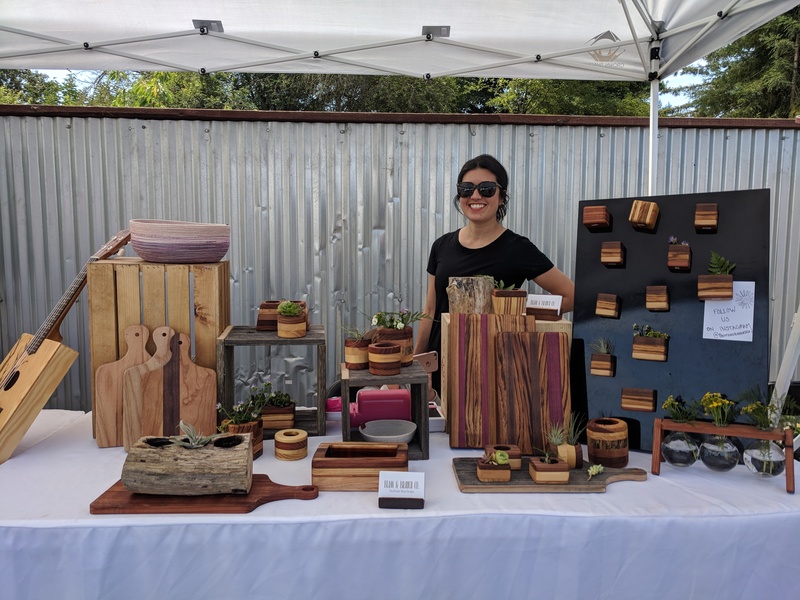 Click here to visit Rebecca’s Etsy shop. 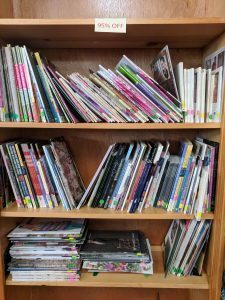 Plenty of books, all on sale! 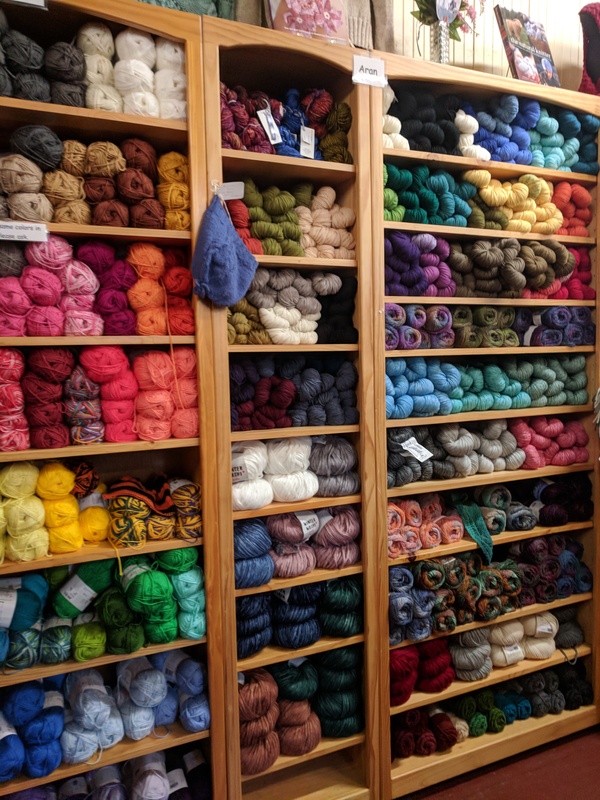 Well, that’s a wrap for 2018. 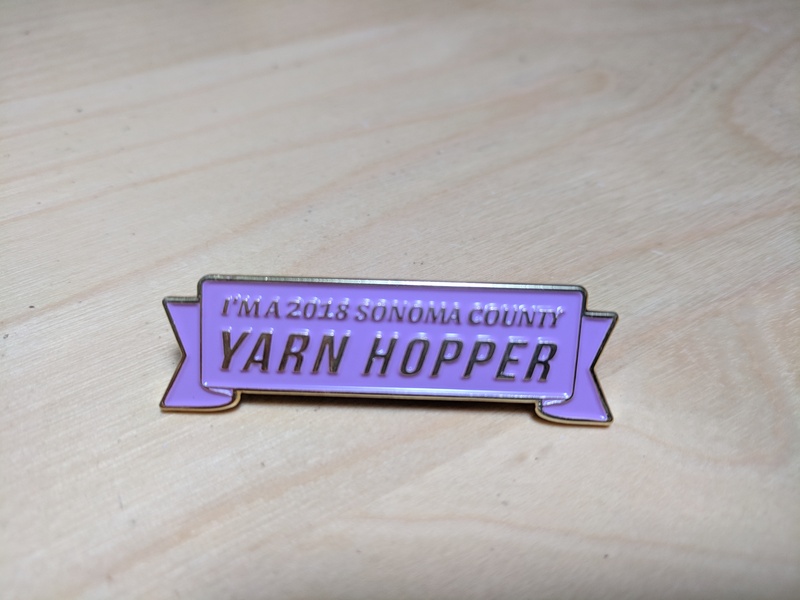 I’ll see you all next year!